You don’t have to celebrate only Valentine’s Day this week, because today is National Inventor’s Day!While the most famous of inventors and makers in history is Thomas Edison, there are thousands of unknown inventors and makers that are improving lives, health and incomes. Did you know who invented the toilet? Believe it or not, it’s not Thomas Crapper, but Sir John Harington. In honor of the day, let’s share the love with the maker types among us and spread the word about our patent-pending innovation of transforming banana fiber into fluff! 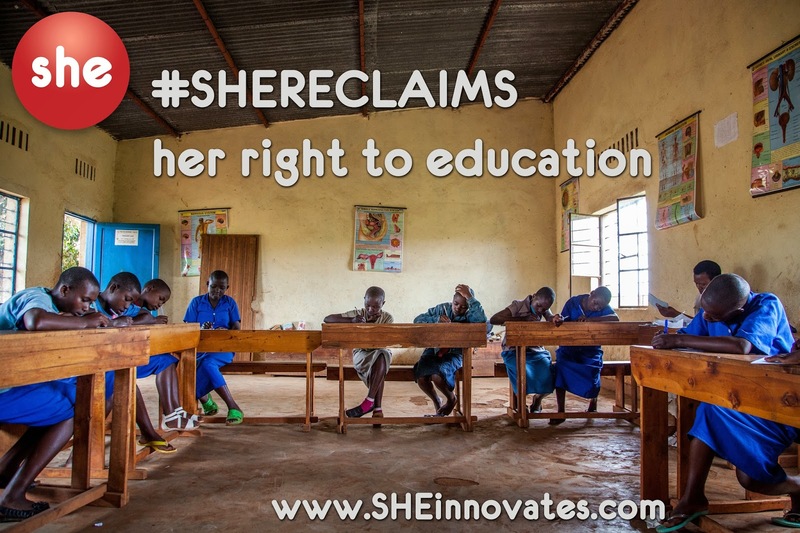 #SHEReclaims Holiday Campaign has Launched! 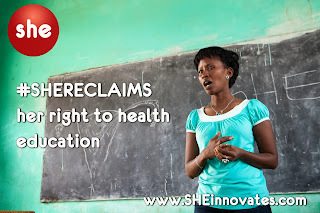 Today is the launch of our SHE RECLAIMS Holiday Campaign. What does SHE RECLAIMS mean? It means much more than transforming leftover banana fiber into SHE LaunchPad. It means that for the 3,000 Rwandan school girls who will receive our pads next year, the SHE LaunchPad will help them RECLAIM their education, productivity, health, and dignity. 1. Investing today in our large-scale production pilot to deliver SHE LaunchPads to 3,000 Rwandan schoolgirls for the 2014 school year. Together, we can #SHERECLAIM dignity for all. 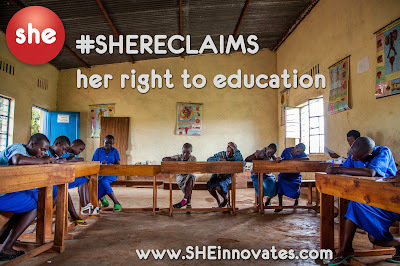 I’ll be sharing more about the SHE Reclaims Holiday Campaign over the coming weeks. In the meantime, please join us this holiday season. 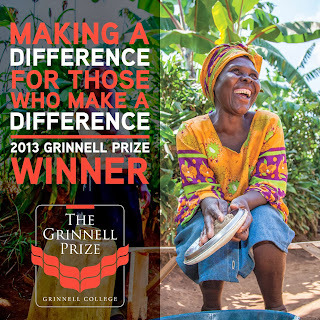 The 2013 Grinnell Prize—a $100,000 award presented to young innovators in social justice – has been awarded to Chief Instigating Officer Elizabeth Scharpf and COO, Rwanda, Julian Kayibanda! If any of you are in Iowa next week from November 3 – 9, you will have a chance to meet Elizabeth and Julian during the week-long Grinnell Prize Symposium! 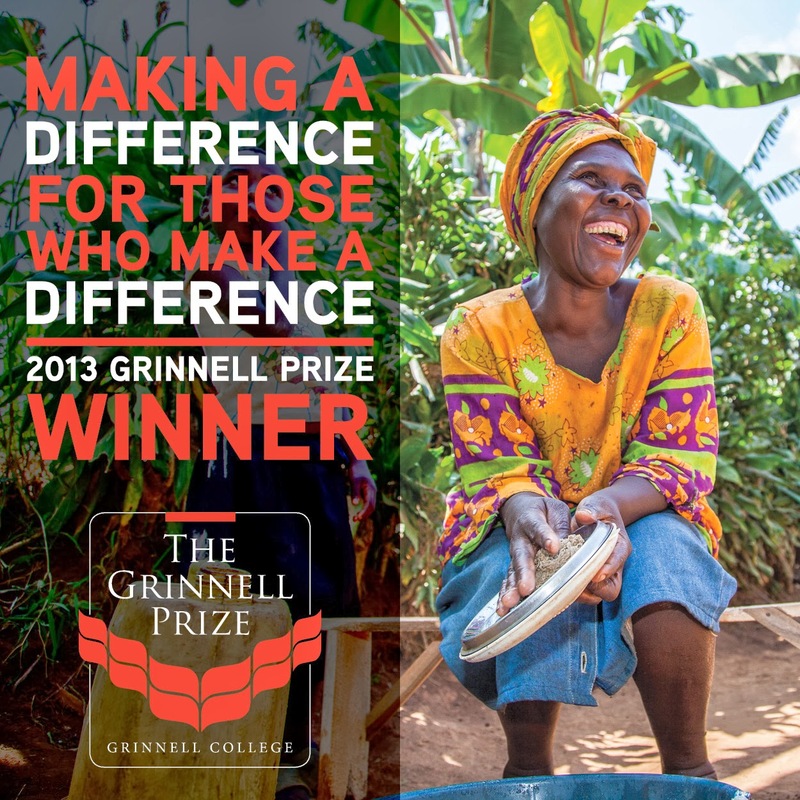 The Grinnell College Young Innovator for Social Justice Prize (also known as the Grinnell Prize) honors individuals under the age of 40 who have demonstrated leadership in their fields and who show creativity, commitment and extraordinary accomplishment in effecting positive social change. Each prize carries an award of $100,000, half to each winning individual (or individuals) and half to an organization committed to the winner’s area of social justice. For more information, including information go to www.grinnell.edu/grinnellprize. Large-scale fluff production has begun! Editor Note: Have you been dying to know what’s been happening at our Ngoma production site? The wait is over! You can learn first-hand from Tyson Huffman, MacGyver-in-Residence, in our mini blog series in three parts. Read today’s final post out of our mini series. Don’t forget to check out Part 1 and Part 2! Come meet our production team: Gaudance, Ernestine, Sandrine, Louise, Christine, Nadine, and Daniel, along with Sylvere, our Business Development Officer (in red shirt). As I write this, we are in full fluff production at our facility! We have hired eight employees and a manager and they are performing above expectations. We ran our machines all day for three days and produced copious amounts of high quality fluff that are ready to become LaunchPads. Again, how did we get to the point where we are producing fluff? We have the tools, we have the people, and now we have the fluff. Even though we were still working out the kinks we produced a lot of fluff. As I write this I have been watching our manager, Daniel, work out some bugs the refiner is having. I’ve only had to help him once. He is currently teaching a team member to troubleshoot problems. As a restaurant manager, I found the two hardest things to find in a manager are someone who can quickly troubleshoot and train his colleagues. We have hitched our wagon to a star here with Daniel. From banana fiber to fluff: our team and facility in action! We will soon have more fluff than we know what to do with. Maybe we could manufacture pillows on the side? I have a few more ideas that I may be able to get done before I leave. They will speed up some of the process. For all of our supporters, followers, and team members I have one last message: WE DID IT GUYS, THANKS TO YOU!